Here are 5 easy ways to bring spring, freshness, and new beginnings to your apartment! What doesn’t bring you joy? Get rid of it! Things in your apartment that aren’t important pieces of memorabilia or that will never be of use to you should go! Clear out the clutter so that you can make more room for the things you need or would like. Mirrors are delightful home decorations for opening up spaces, bringing in light, and making cozy apartments look bigger and brighter. With command hooks, place mirrors of various shapes or sizes around your place and you'll be amazed at the difference they make! Give your bedroom a refresh. Your bedroom is where you rest and relax, therefore, it should reflect just that! 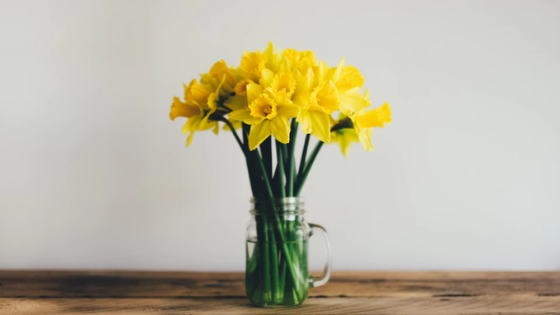 Even if you keep your bedroom relatively clean, spring is a good time to enliven your environment with new bedspreads and pillows, a good clean of your nightstand, and maybe even some twinkle lights or a candle or two! Give your bathroom a refresh. The same goes for your bathroom. Swap out your shower curtain, invest in some new hand towels, get a new bath mat, give your sink a good scrubbing, and put away things on your vanity top that are taking up space. You also might consider some fresh-smelling bath salts or oils. Fill your space with alluring spring scents. Tired of that air freshener you bought last fall? Swap it out and get some sweet-smelling candles, or consider a bouquet of fresh flowers to brighten up the aromas in your home. If you’re in the midst of apartment hunting, our Stamford, CT apartments are the perfect place to start! Please contact our office today to find out what floor plans are available.